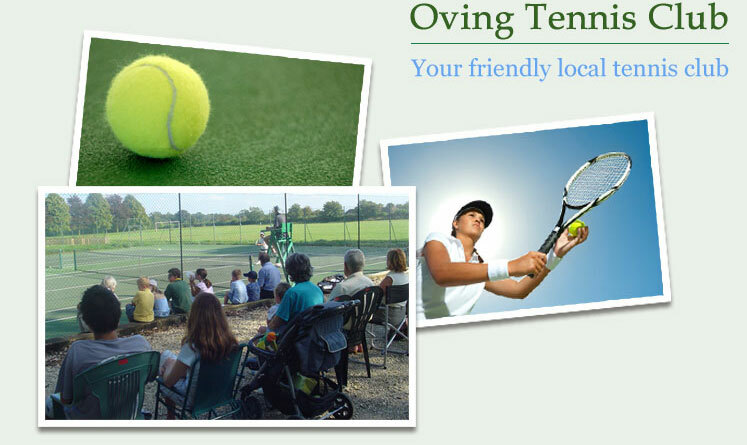 The club is located in the village of Oving, north of Aylesbury, Buckinghamshire, and has excellent tennis facilities run for the benefit of residents from Oving and surrounding villages. As well as Oving, members come from Aylesbury, Granborough, North Marston, The Claydons, Quainton, Whitchurch, Winslow, and other villages. The club was founded in 1993 and is run by an enthusiastic Committee, constantly seeking to improve the club, its facilities, and the opportunities we offer members to enjoy their tennis. We have two well maintained hard courts at the Oving Recreation Ground. We are a relaxed and friendly club and we cater for players of all standards from absolute beginner to expert. Everyone is welcome! For those who wish to improve their game we offer coaching for juniors and seniors; novices, improvers and experienced players. We also run ladies’, men’s and mixed teams in the local league for players who like competitive tennis. There are friendly club sessions every Sunday morning and Wednesday evenings (spring/summer only) where you will be welcomed and will get to play informal games with other members of all standards. We play short "sets" on a rotation basis and there are members on hand to make sure everyone gets a regular game and that these are as evenly matched as possible. We also have an "improvers" session on Tuesday afternoons and this is open to all members who would like to brush up their tennis by playing games with others of a similar standard. There are one-day fun tournaments in the spring and summer for players who enjoy less serious tennis. These are usually followed by social events such as a barbeque or supper which are open to all members and their families. The club is a member of the Lawn Tennis Association and this has many benefits for our members. This includes access to a limited number of Wimbledon tickets every year. The new Oving Village Hall has recently been constructed next to the courts. The Hall is used by the Tennis Club for providing refreshments after league matches and for hosting lunches and suppers after tournaments. For details about joining the Club see the Membership section or please contact our Membership Secretary on 07736 844372.